Talking to our customers this year we know that people are worried about the dreaded “B” word and how this may affect their holidays this summer. They are unsure about how to plan, concerned about long ques and quarrentine for their children (and pets) when they go on holiday. 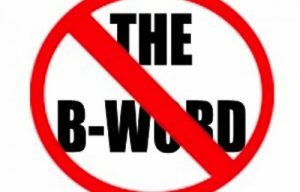 They are unsure about how the B word will impact their holiday abroad (will the Full English be banned on the Continent? who know’s?) Well at Cawood Park you have absolutely nothing to worry about this summer! At Cawood Park we have Breakfast sorted! Whilst some may find it hard to make a decision with only 4 choices to choose from we have 8 fantastic Breakfast choices waiting here for you! From Mr’s B’s fully loaded Big Boy to Baby B’s special it’s a treat that you can quickly decide on and enjoy! and then just get on with your normal day to day business. So don’t let the dreaded B word ruin your holiday plans this year holiday at Cawood Park and have an enjoyable Breakfast at this holiday with no worries or stress! Call Lakeside direct on 01757 269 418 or email cawood@yorkshireholidayparks.co.uk to book a table.